It's a cold-hearted guitarist who doesn't experience a flutter of excitement at their first glimpse of the VC range. Vintage in attitude and packed with warmth and tone, the VC range covers vintage guitar tones with ease and provides enough gain for contemporary playing. The 30 watt VC30-112 features two footswitchable channels, with three band EQ on the drive channel and a bright switch. If you are looking for pure, expressive, classic tone, you need to look no further than the VC30. The VC30-112 is the classic retro option and features a 12" HH driver . The VC30-112 generates very little cross over distortion because it runs in pure Class A mode -- its valves are always hot and ready for you, which gives it that unmistakable Class A sound and feel, a players tone with many sweet spots. The VC30-112 is very dynamic and can be easily controlled by the pressure of your pick on the strings and many tones can be found between one and ten on your guitar's volume knob. From a chiming bright clean sound to the vintage caress of the creamy overdrive, whether it is single coils or hum buckers, the VC30 delivers. The VC30-112's clean channel is immediately impressive and lives up to its name remaining clean almost all the way to the maximum volume, when it begins to break up in the perfect pleasant way you only get from pushing an EL84 hard. Drive-wise the VC has its roots in the bluesy side of things, but push the front end of the amp a little harder with a pedal and the gain really sings. All this housed in a very "British"; and specifically a very "Laney" black basket weave vinyl covering, with black and grey speaker grille -- with white piping, rugged leather handles and finished with chromed corners. Giving a very purposeful no-nonsense appearance. 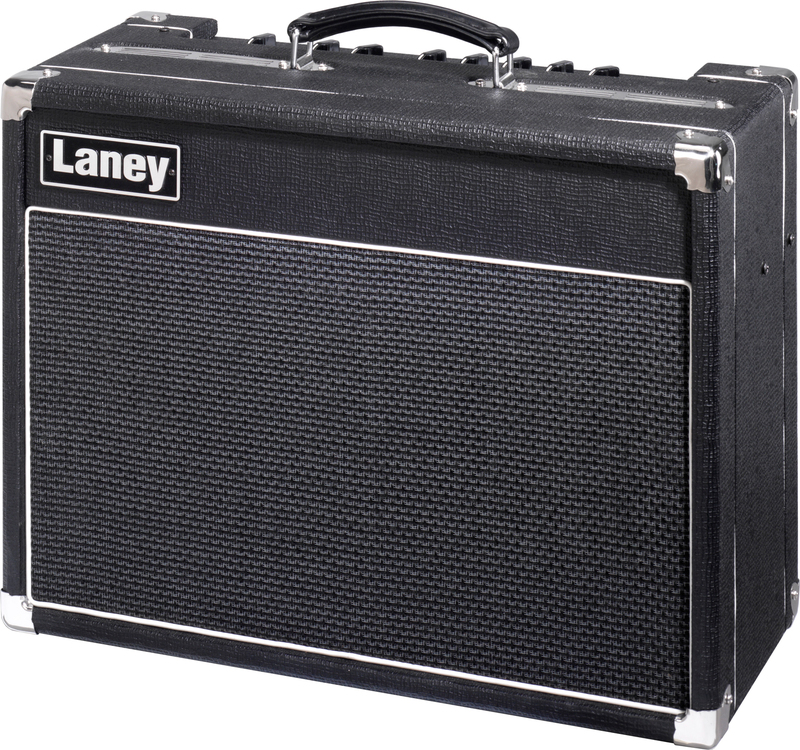 Simple, logical and intuitive -- just as guitar amplifiers should be.